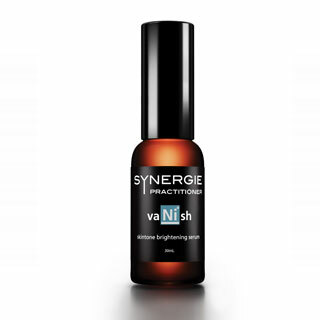 Vanish contains patented peptide technology and clinically proven ingredients designed to reduce the appearance of uneven pigmentation and sun damage. Skin colour is determined primarily by the amount, distribution and type of melanin produced by the melanocyte. Specific enzymes control the production of skin pigments. The first step of this melanogenesis is mediated by the enzyme tyrosinase which increases melanin synthesis. Following this, the transfer of melanin from the melanocyte to the keratinocyte is needed to express the pigmentation. To effectively address pigmentation a multi-level approach is needed. Bearberry leaf extract – a botanical ingredient used in cosmeceutical products for its natural ability to reduce melanin production and hence the appearance of hyper-pigmentation. Application: Apply sparingly to affected areas in the morning or evening, prior to moisturising. 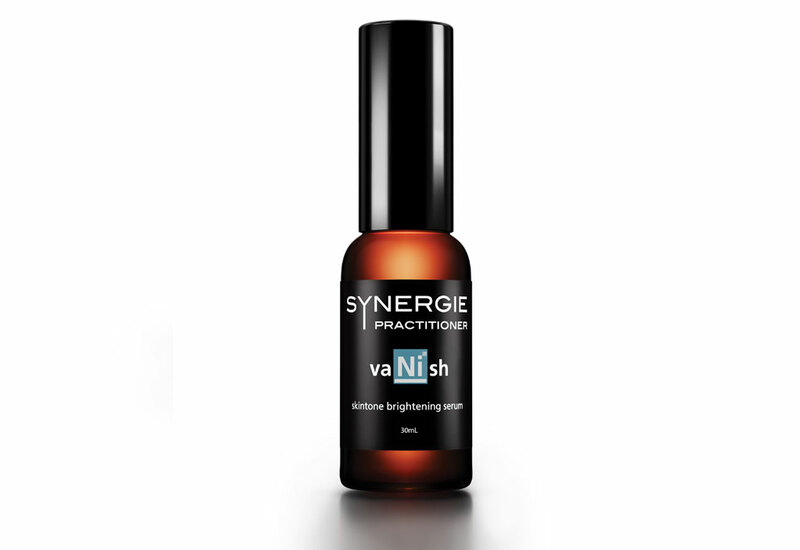 Apply twice daily 2 weeks prior to facial IPL, laser or any clinical treatments.